The track was built in a hurry in 1965. 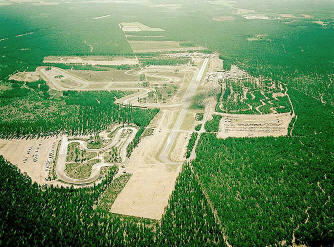 It was opened 1966, and it was the first fullscale motor circuit in Finland. Specialty of the track was that the curbs were yellow and white instead of the normal red and white. During Keimola's lifetime it went through many ups and downs, but mainly downs. The people living near complained about the noise and restrictions were brought up. The energy crisis even lowered the already low interest in motor racing and Keimola was in trouble. 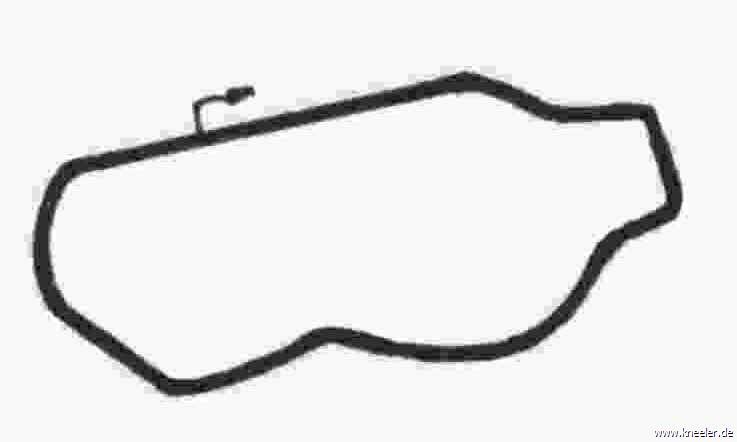 The last international race was in 1972, but some national series raced on the track until in 1978 it was officially closed. 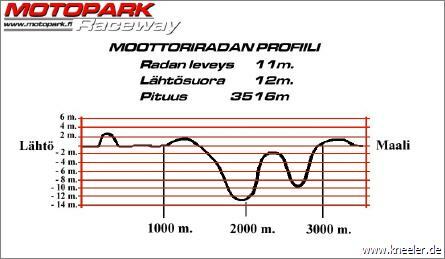 During itäs life Keimola did host many international races. One of the most famous must be the Interserie Series. Those magnisifent cars raced also on track like: Imola, Hockenheim, Nürburgring, Silverstone, Zolder.... Keimola could still be amongst the greats, if it had been taken care of. During those years the lap record was made by Leo Kinnunen, with Interserie Porsche. Both Finnish Formula 1 stars have started their racing career in Keimola. 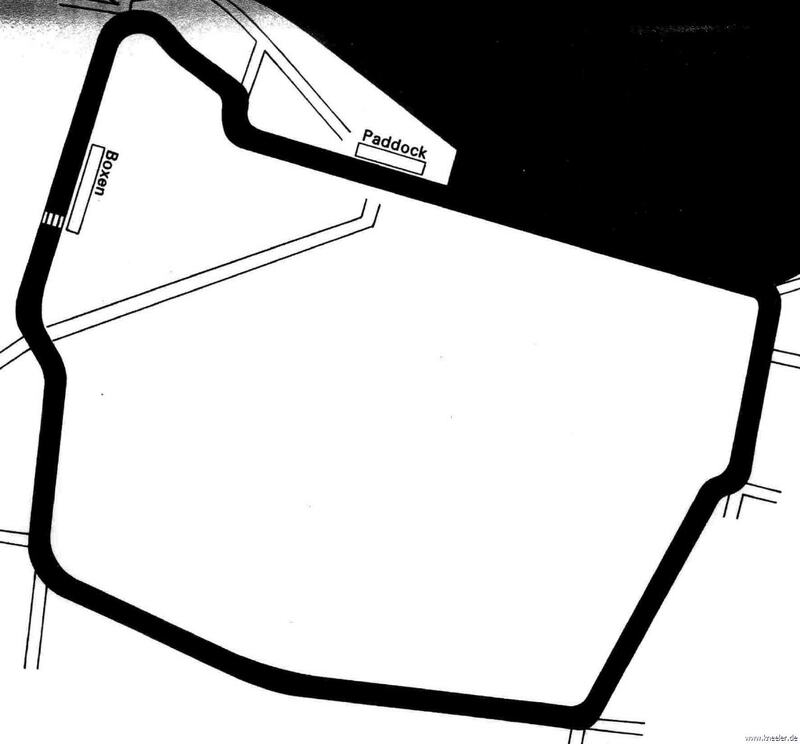 Both Mika Hakkinen and Mika Salo lived near Keimola and they raced karts in that track. It might be even fair to say, that without Keimola we Finns wouldn't have drivers in Formula 1. What will happen in the future? 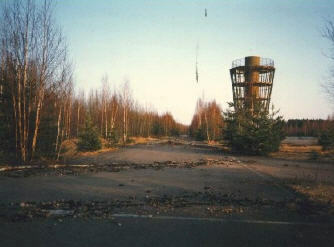 Die Strecke im finnischen Virtasalmi ist eine technisch anspruchsvolle Strecke. Besonders interessant sind die Höhenunterschied, gleich zweimal hat die Strecke eine "Eau Rouge" wie in Spa, also eine Kurve, die man "blind" fahren muss. Neben dem Fahrerlager ist ein See und ein Campingplatz mit Sauna etc. Gefahren wird übrigens auf der schwarzen Linie. 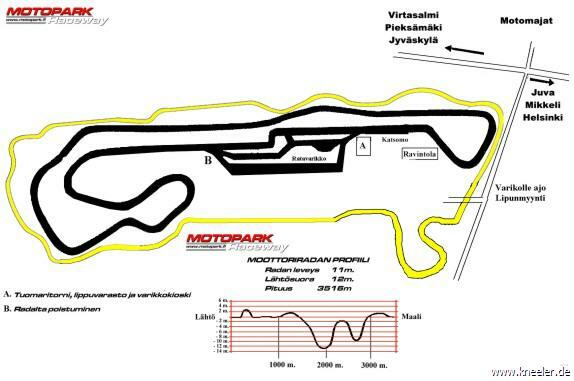 In Virtasalmi befindet sich auch eine Rallye Schule, Moto-Cross Strecke und Quartermile.